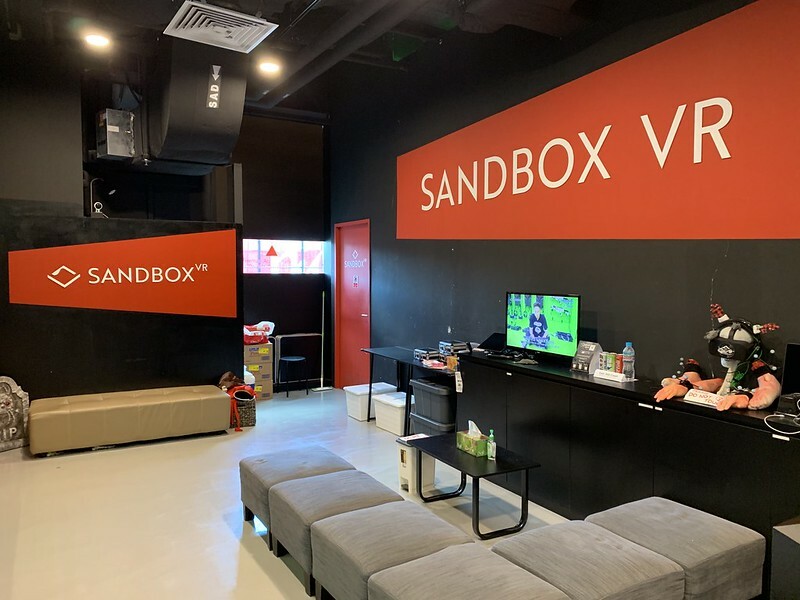 Sandbox VR  is the latest VR gaming experience in town. 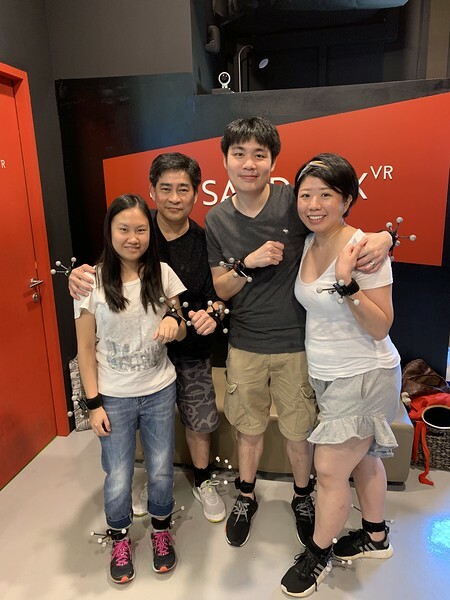 They came in right after Zero Latency  and Singapore is their 6th city. 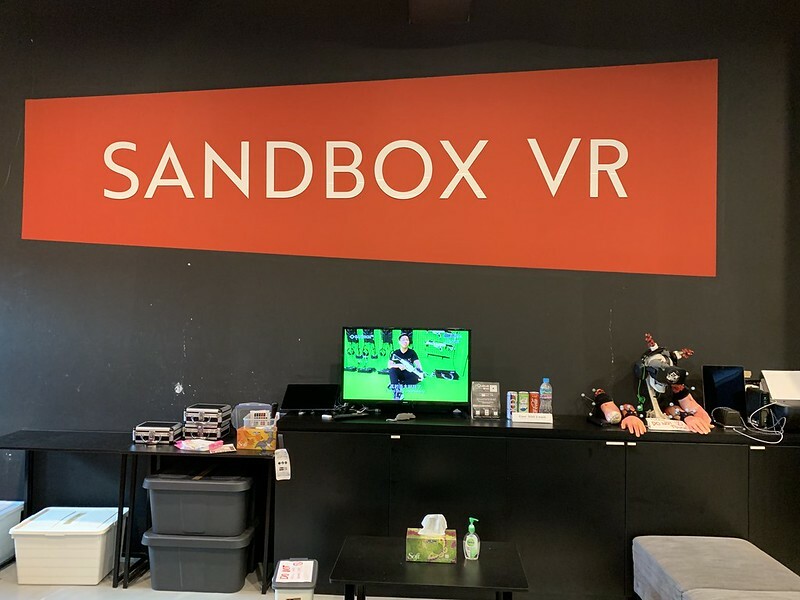 Sandbox VR has branches in San Francisco, Los Angeles, Bangkok, Hong Kong, and Vancouver. 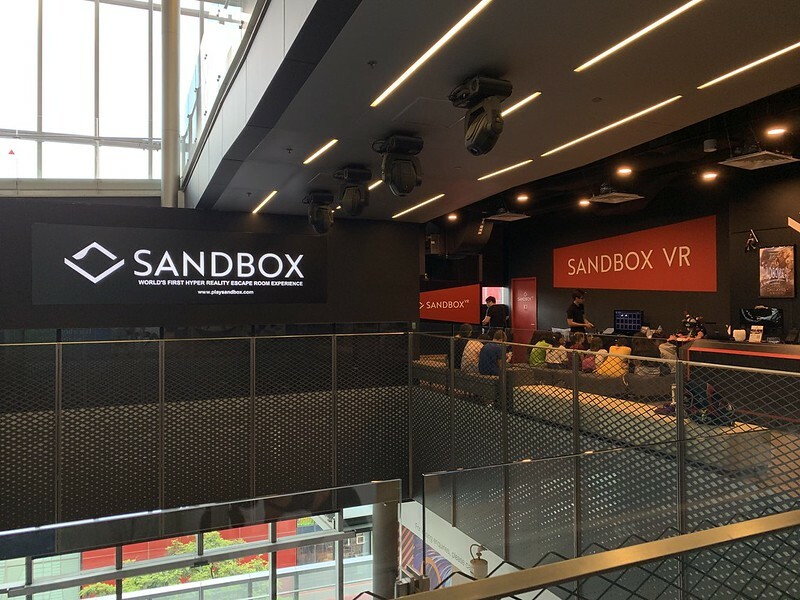 Sandbox VR in Singapore is located at level 5 of Orchard Central. The address is 181 Orchard Road, Orchard Central, #05-31, Singapore 238896 and their telephone is +65 9832 5988. It is recommended to give them a call as they are usually fully booked for the weekends. 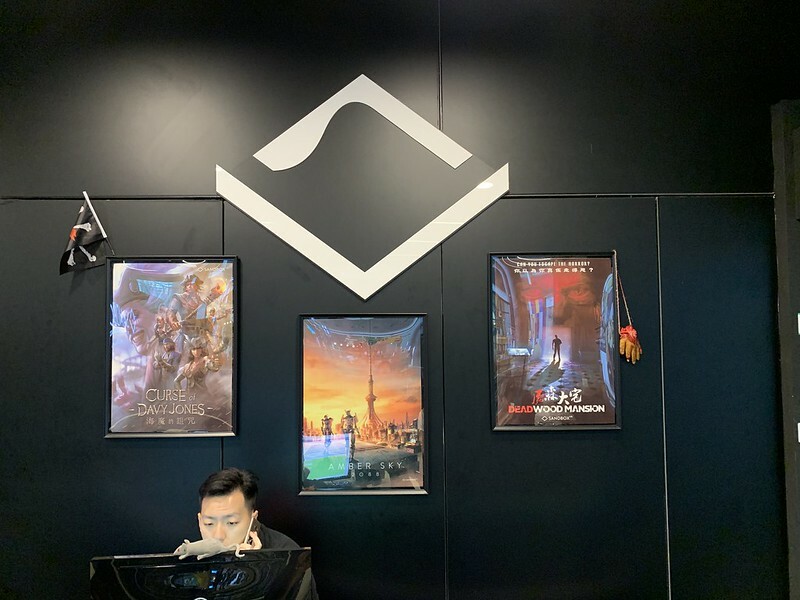 Their opening hours are from 11.30am to 10pm from Monday to Thursday. 11.30am to 11.30pm on Friday, and 11.30am to 11pm on Saturday and Sunday. Prices are either S$32 or S$42 per pax. 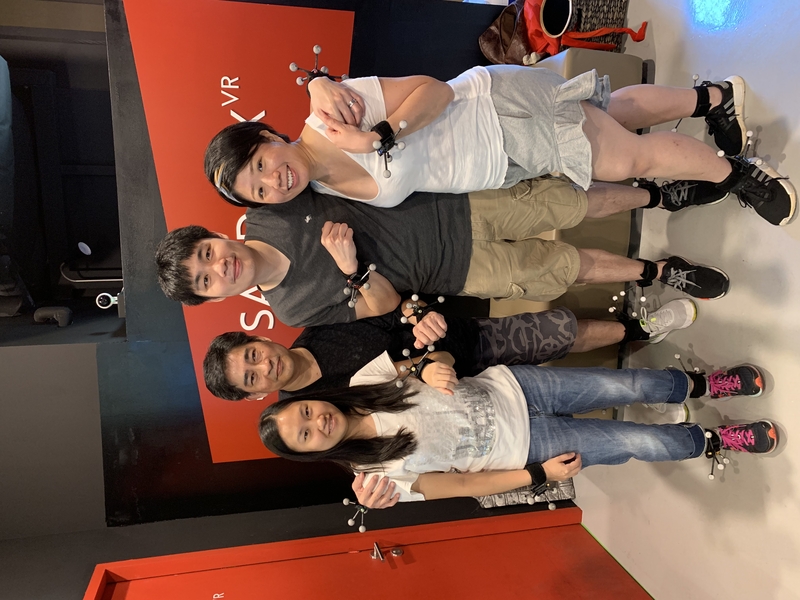 Deadwood Mansion: Your squad was ordered to investigate the secrets of Deadwood Mansion, and they’re now surrounded by Deadwood Mansion’s lost experiments, Can you and your team survive your mission and escape before time runs out? The Curse of Davy Jones: Your guild of treasure hunters have finally tracked down the lost treasure of Davy Jones. Will you find the treasure in time, or will the Curse of Davy Jones strike again and claim your souls? I tried Amber Sky 2088 as it was their latest game. According to the person-in-charge, Amber Sky 2088 is the most straightforward game and the least scary. For other games such as The Curse of Davy Jones and Deadwood Mansion, you are required to solve puzzles before you can proceed on to various stages. Also, there is a chance at the end of the game, you will fail the mission. If you like a good scare, try Deadwood Mansion. It is the scariest game among the three. The whole process takes about an hour. 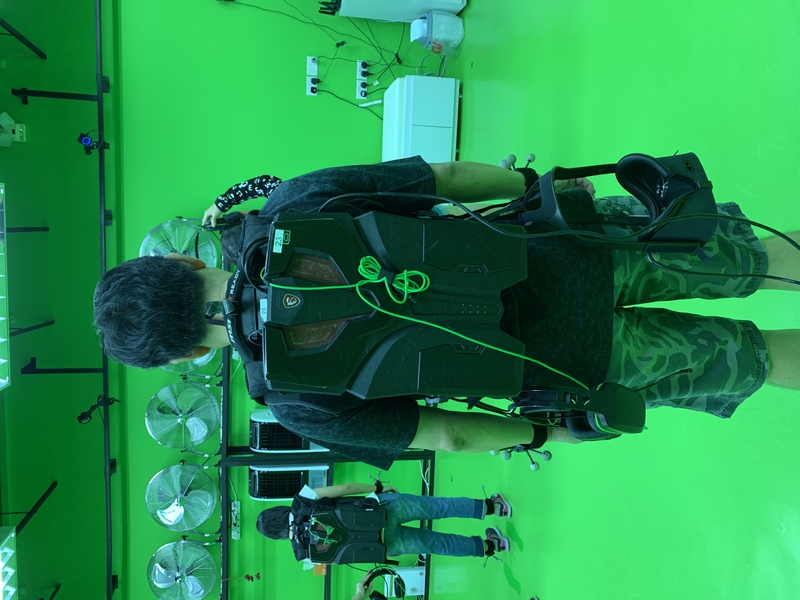 Fifteen minutes of training and setup, followed by thirty minutes of being in VR, and the last 15 minutes is for debriefing and reviewing video highlights. The first thing you will need to do is sign the indemnity form. 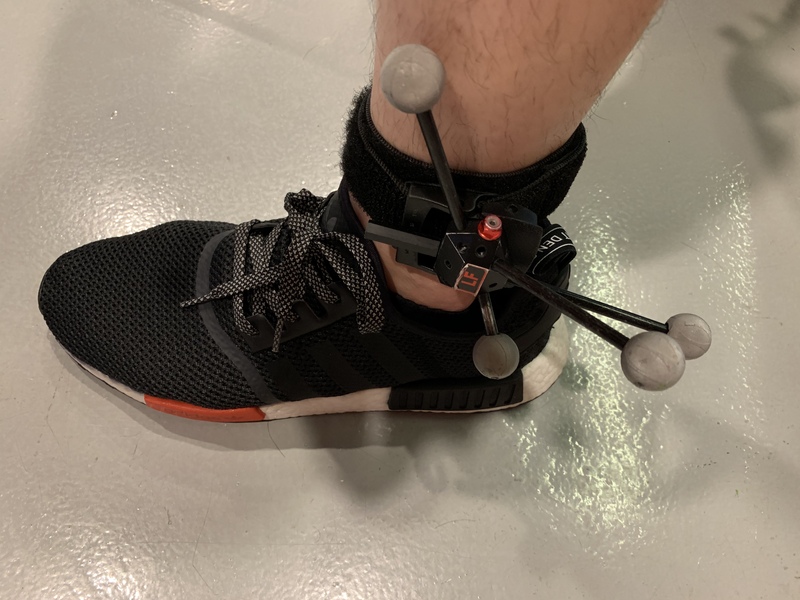 After that, you will be given motion sensors to attach it to your wrists and ankles. For a four people game, we have four colors, Red, Blue, Green, and Yellow. Red is reserved for the team leader. The person in charge will ask your team to nominate a team leader. The team leader has to give instructions to coordinate the team during the gameplay. After that is done, you will be given an iPad to name your team and fellow team members. There are two rooms available. One room can accommodate up to four people, and the other can accommodate up to six. 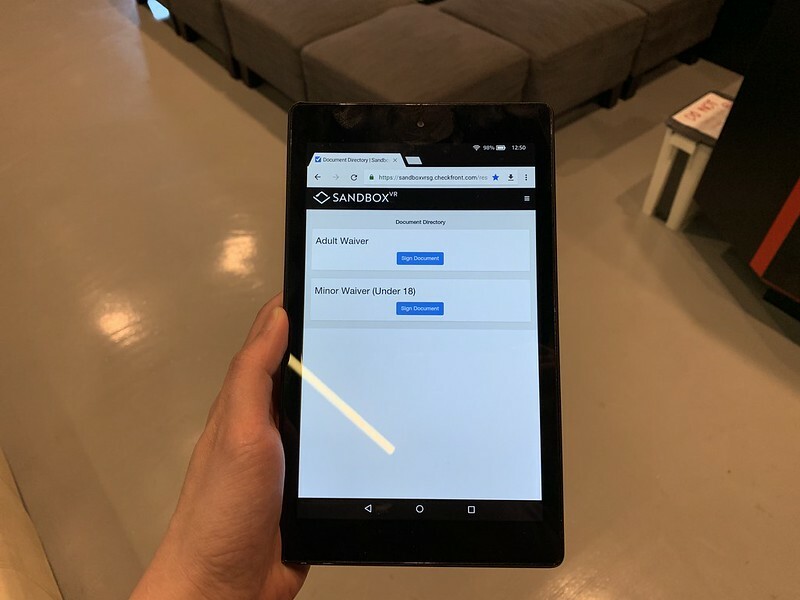 However, Sandbox VR requires a minimum of two people per room. The room that we are in is the bigger room that can accommodate up to six. 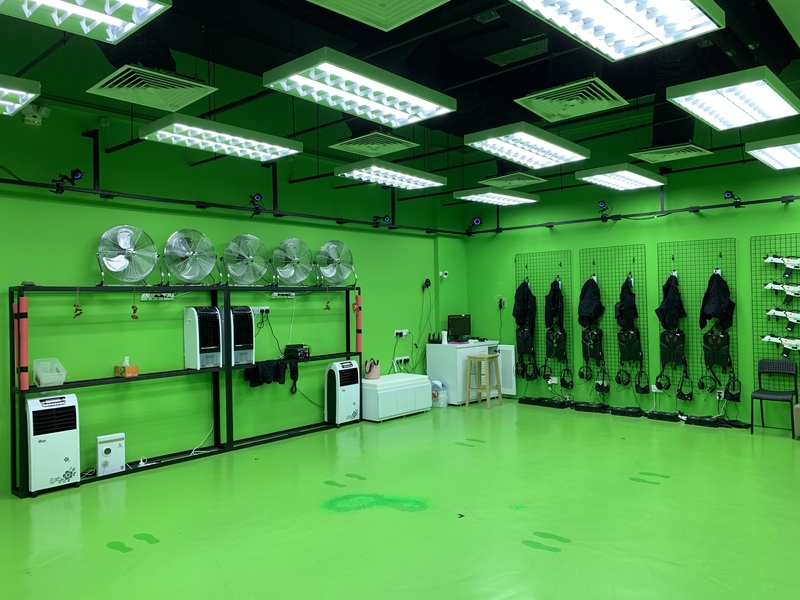 The whole room is painted in green so that the motion capture can work properly. Interesting use of the fans in the room. 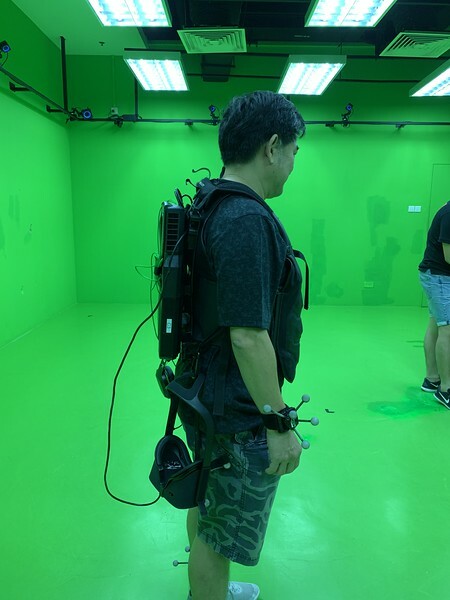 When you are in the VR world of Amber Sky 2088, there is real wind blowing towards you when you are taking an elevator that is going up fast. Since each session is private, there is no locker. You can bring your belongings into the room and place it on the bench. 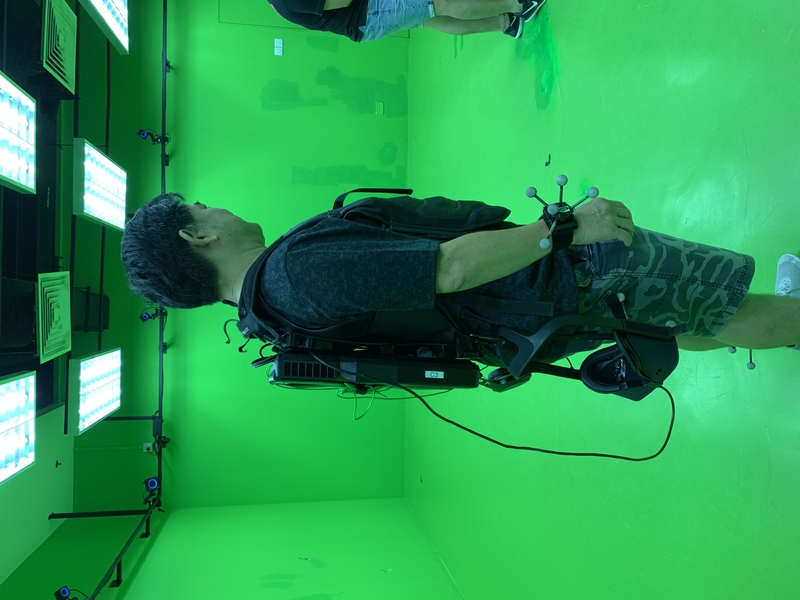 Once settled down, you have to move to the markings indicated on the floor and the staff will dress you up with VR gears. 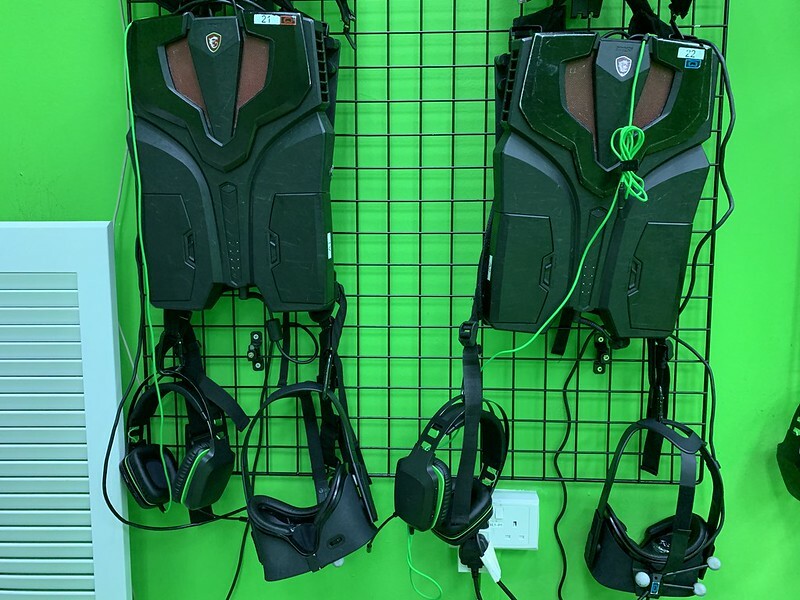 You will be wearing a haptic vest, a backpack containing a laptop, a weapon, VR headset, and headphones with a microphone. There are two types of weapons available, a rifle and a handgun. For Amber Sky 2088, my team is split into two “attackers” and two “defenders”. 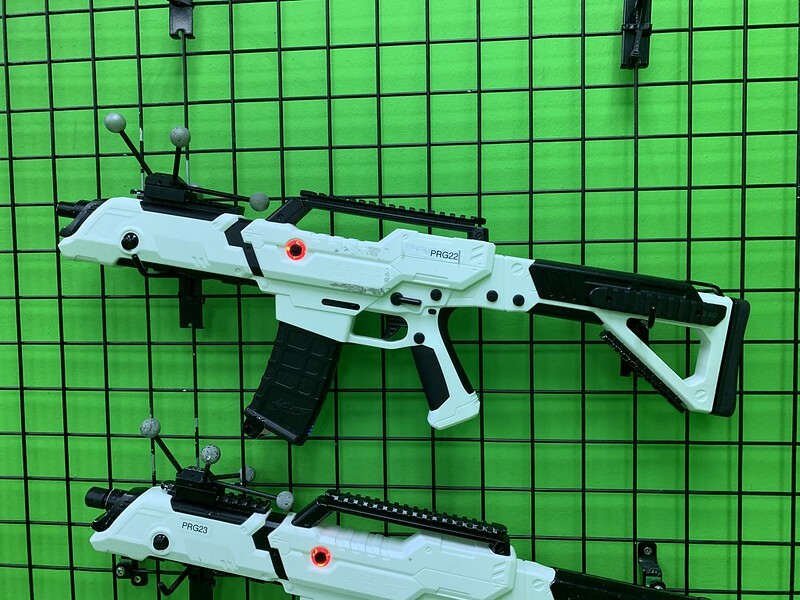 The “attackers” will be carrying rifles while the “defenders” will be carrying handguns. The other hand of the “defenders” will be used as a shield during gameplay. Think of it as Captain America. 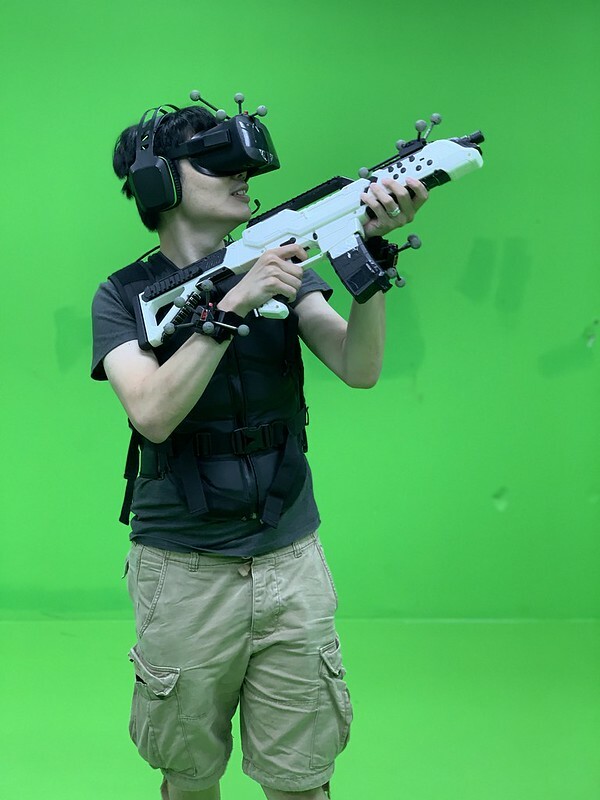 I find the overall gameplay of Sandbox VR is better than Zero Latency. 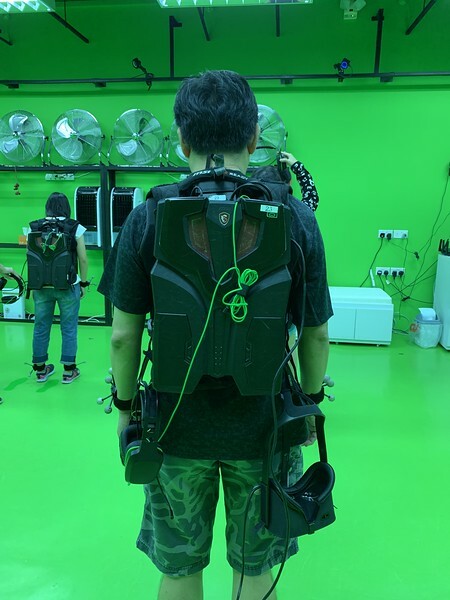 It is more interactive, doesn’t require you to walk too much and is more immersive. 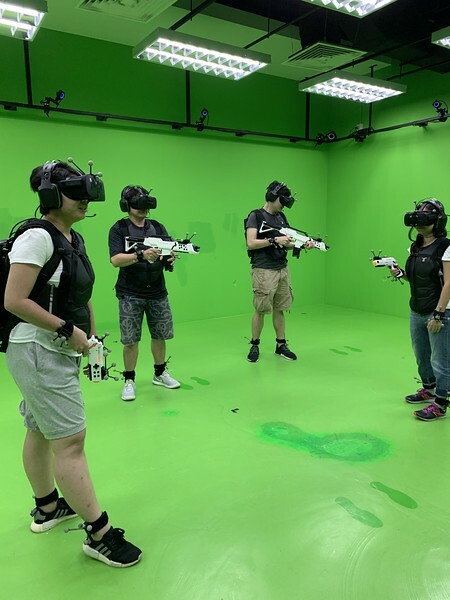 Because Sandbox VR uses motion capture, the detection of your fellow teammates in the game is as accurate as they are in the outside world. 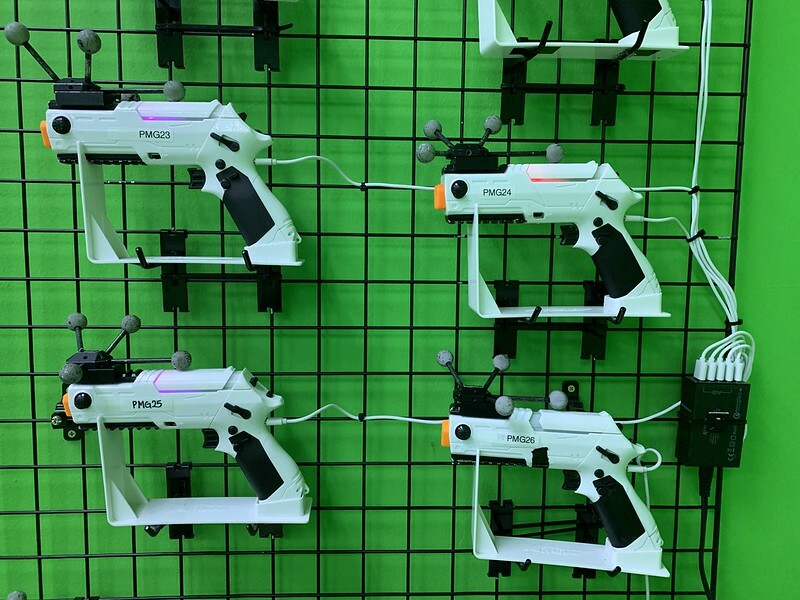 In contrast, Zero Latency only tracks your head and the gun and roughly estimate your position. 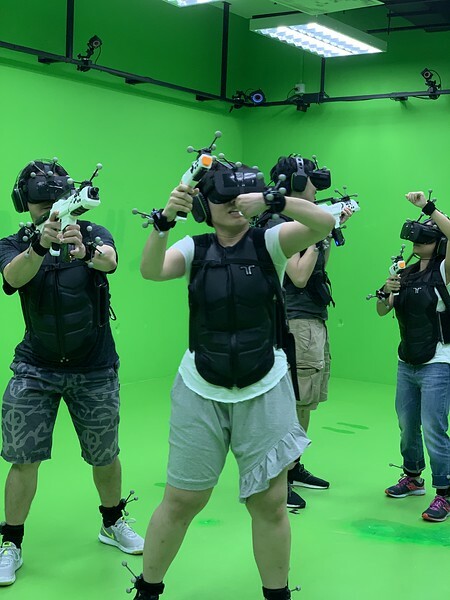 You will die in the VR world. When that happens, one of your teammates has to walk to you, tap and hold on your shoulders for about five seconds to revive you. Yes, you will feel a real tap on your shoulders. 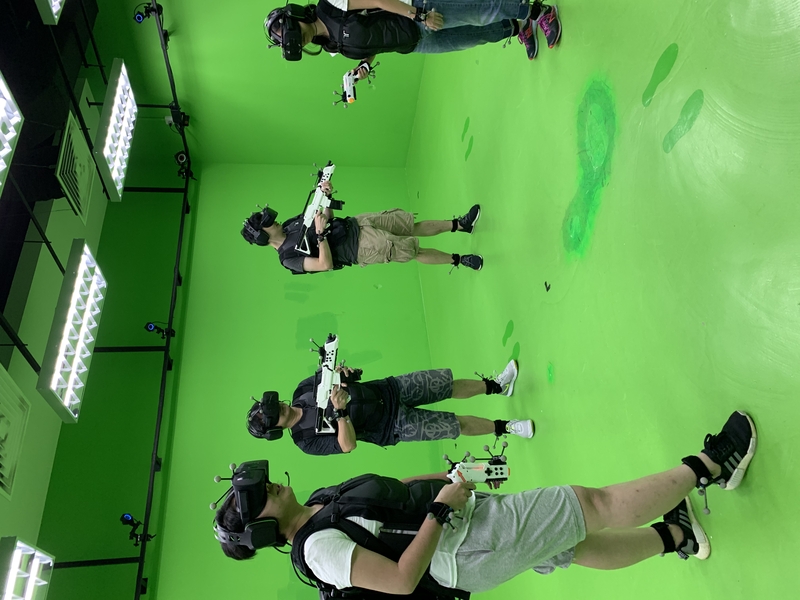 Sandbox VR games are designed in such a way you don’t need to walk too much and hence it needs much lesser space than Zero Latency. The game “will come to you” instead of you walking to it. 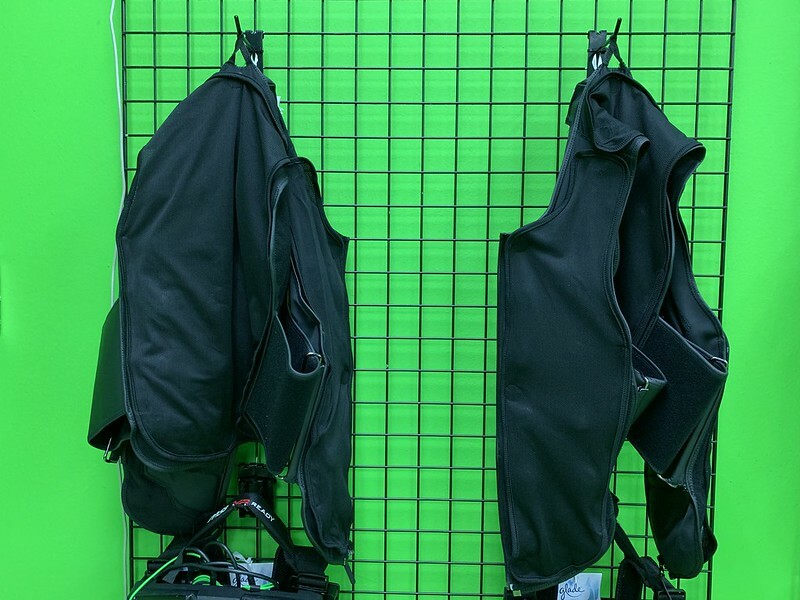 When you are being attacked by monsters, you will feel it thanks to the haptic feedback vest that you are wearing. For Amber Sky 2088, depending on whether you survived at the end, the ending might be different. Don’t worry, there are only two endings. One is you survived and one you didn’t. Both endings will lead towards a successful mission, unlike the other two games where you might end up with an unsuccessful mission. 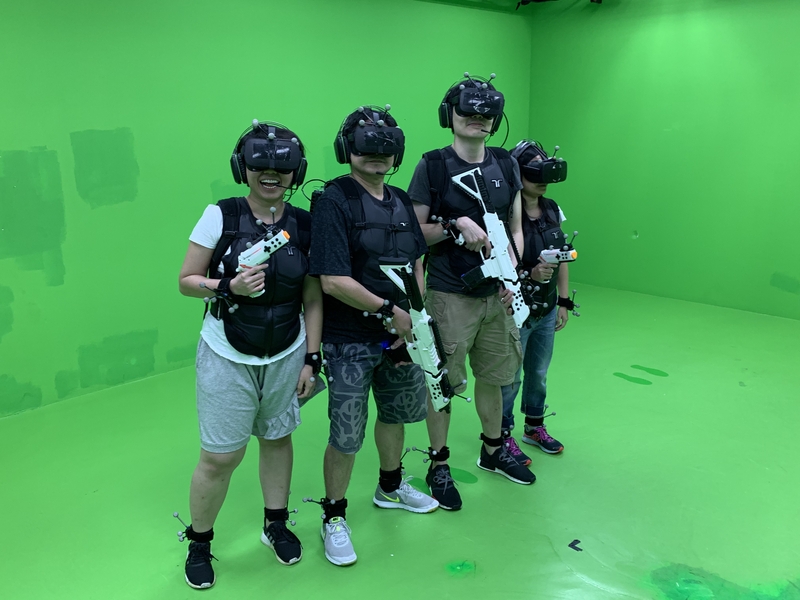 Once the game ended, there is a short section for you to pose for a photo taking in VR. In real life, the staff can also help you take a photo if you have passed them your mobile phones at the beginning. 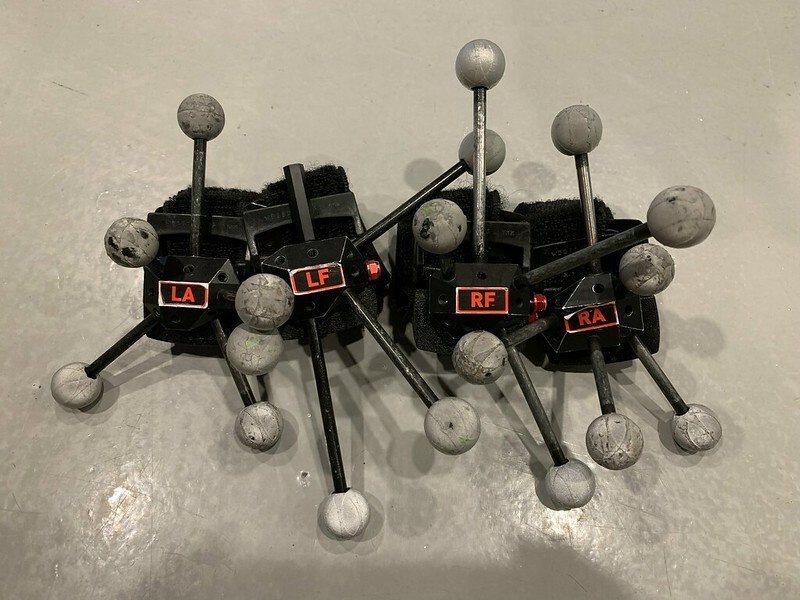 After the game, the staff will help you to remove all the gears. 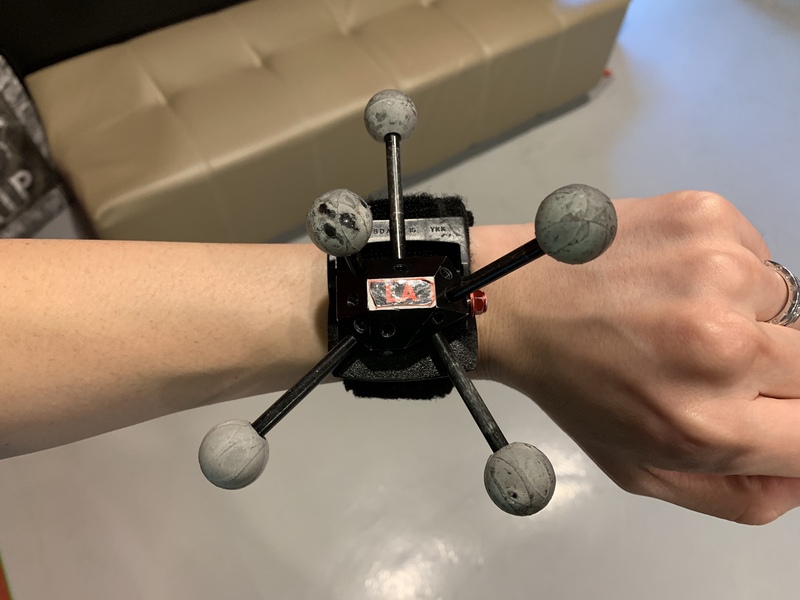 Once the gears are removed, you can proceed on to remove the motion sensors and placed it back in the same color-coded box. Take your belongings, and you can exit the room and wait in the waiting area. As a gift to you, all sessions comes with two rendered videos of your team playing the game. It takes about 15 minutes for the rendered video to be ready. If you are in a rush, they can email you the link to download the videos once they are done. If you chose to wait, once the videos are ready, it will be played on the television in the waiting area. All of you will probably be laughing through it. They AirDropped me both videos. I am not sure if you are on Android, how they send it to you. The first video is a team introduction and the second video is during the gameplay. I have embedded both videos. Having tried both Zero Latency and Sandbox VR, I would say Sandbox VR is better. 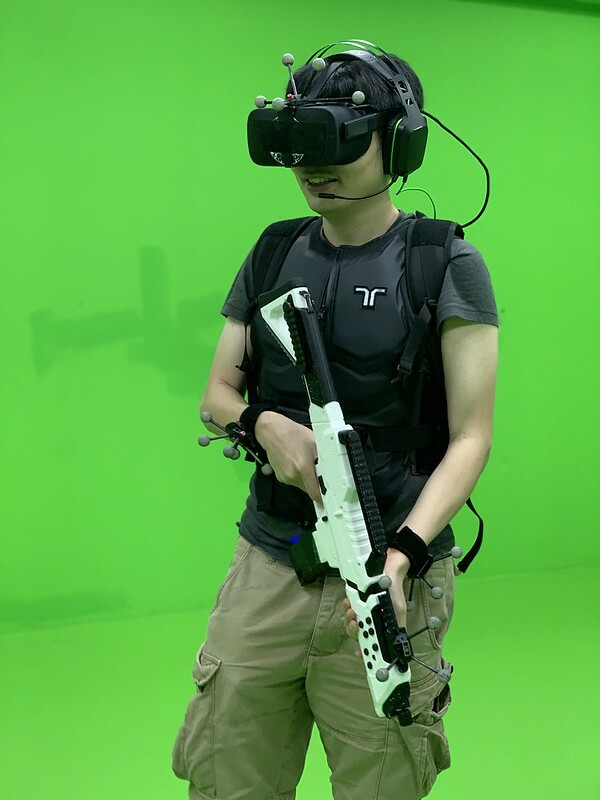 There is less walking in Sandbox VR, and hence the chances of you colliding with your teammates are low. 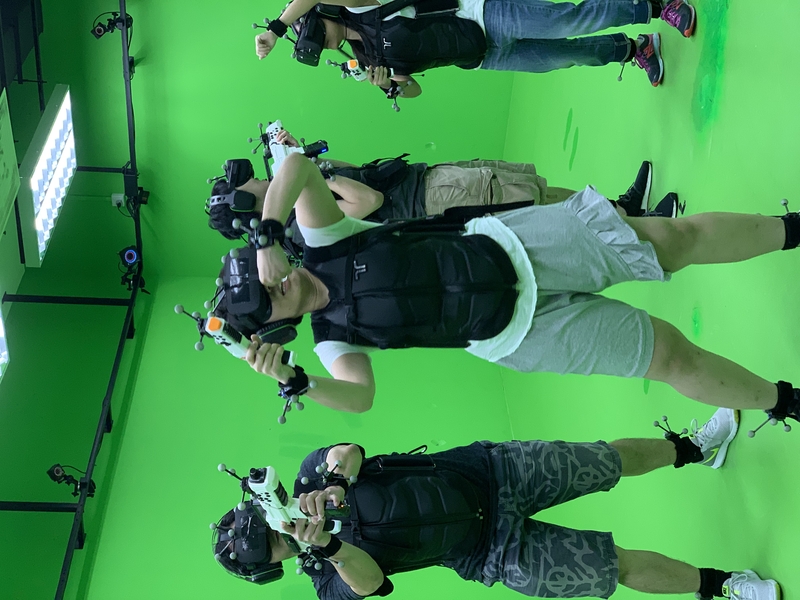 Also, because Sandbox VR uses motion capture to determine your position accurately, there are more interactive options available, such as reviving your teammates and solving puzzles. 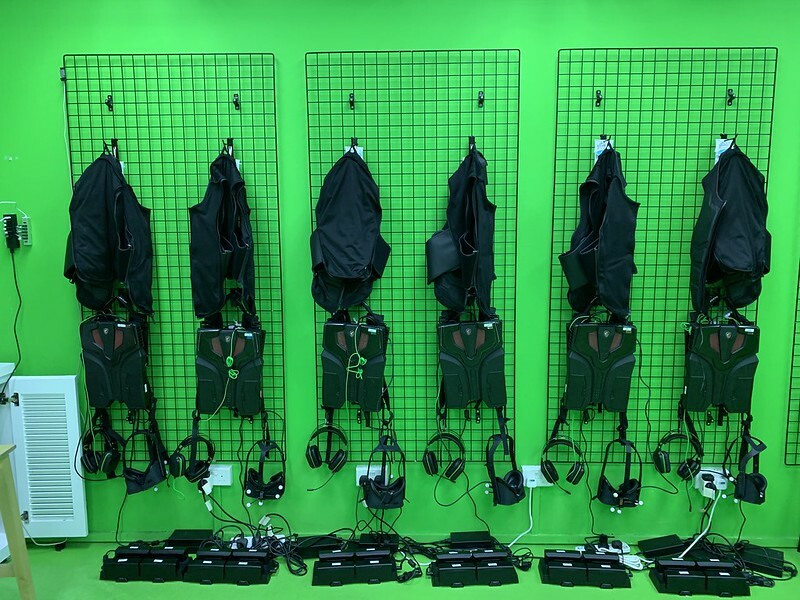 The haptic feedback vest and the fans in the room plays a part in making the VR game as real as possible. At the end of the game, I like that Sandbox VR gives you something to take home for remembrance. I wasn’t expecting that; it was a pleasant surprise.